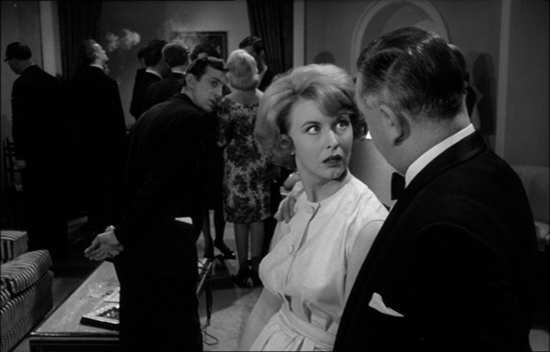 A breezy comedy from the Danziger brothers, Part-Time Wife was released in 1961 and features very early film roles for Anton Rodgers, Nyree Dawn Porter and Kenneth J. Warren. Insurance salesman Tom and his wife Jenny are struggling through the first years of marriage in a modest flat, on Tom's even more modest salary. 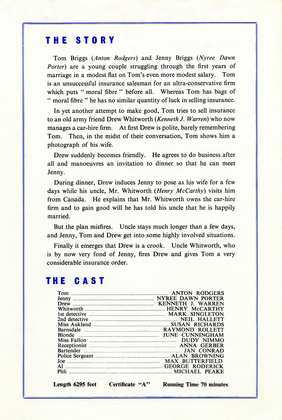 By contrast Drew, Tom's old army pal, is a footloose bachelor currently running a car-hire firm owned by his rich uncle, who lives in Canada. Since Drew's uncle makes it clear that his nephew will only inherit the business when he's a respectable married man, his upcoming visit throws Drew into a panic. 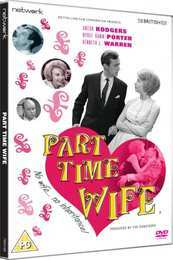 Having taken a fancy to the vivacious Jenny, Drew persuades her to masquerade as his wife – an arrangement that leads the trio into some highly complicated situations. These include overnight stays in hotels, bedrooms and even jail as well lots of high farce. Whilst you won’t laugh aloud, it’ll certainly raise a warm smile. It’s also a great little time-capsule to what looks and feels like a completely different world (God – what a thought. It was released the year I was born!). The film has all the tell-tale signs of being a typical Danziger brothers support picture (they made something in the order of 140 support films over a ten year period as well as countless TV episodes). 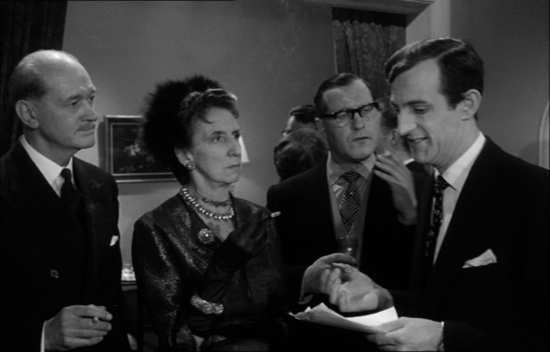 It’s 25% Boulting brothers, 25% ITC in feel, and 50% Brian Rix farce, with a good cast and a half-baked TV style plot which feels fairly stretched out across its meager 66 minutes. But for all its low-budget, low-rent, super-rushed nature, it does stand up pretty well. 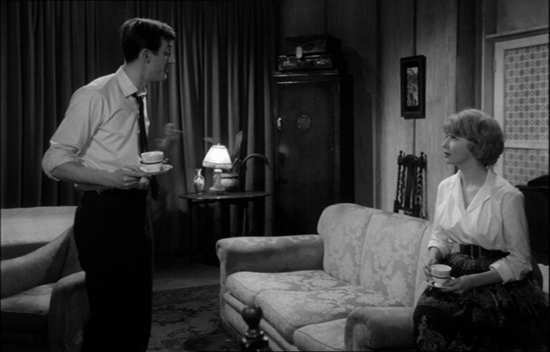 In common with ITC TV series of the time, the cinematography is workman-like but good. It’s tightly directed (probably as a result of minimal film-stock rather than artistic endeavor) and all the principal performances are spirited enough. 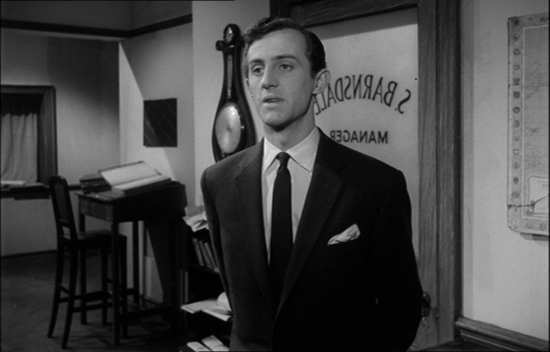 Anton Rodgers does a good version of what he continued to do for the bulk of his career though this is the younger, non-spectacle wearing incarnation as seen in countless classic ITC series like ‘The Prisoner’ and ‘Man in a Suitcase’ and films like ‘Carry on Cruising’ and ‘Rotten to the Core’. He has a lot of hot and indignant blustering to do and he delivers it splendidly. 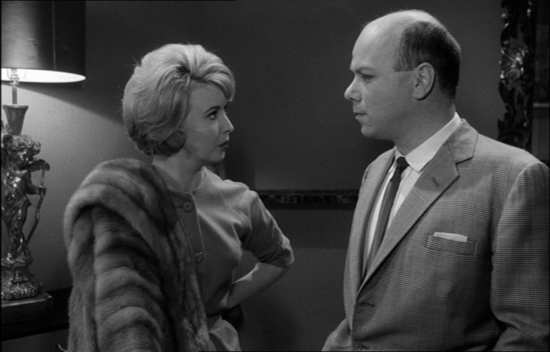 Nyree Dawn Porter (‘The Protectors’) also does a great turn; a great TV actress who could tell a thousand words with a simple movement of the eyes. 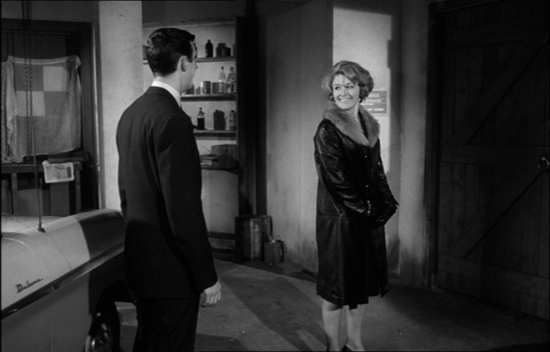 What’s perhaps most fun about the film is the interplay between the two newlyweds and the slight question hanging in the air once the mink coats and diamonds are delivered – is she actually enjoying this? The turn-around between initial consent and dejected objection is well-played by Rogers. Then there’s the brusque Kenneth J Warren, balding and curt, playing to type once again. My favourite role of his is probably the brilliant Steptoe episode where he plays the part of an unknown Australian son of Albert’s though he was another jobbing actor who can be regularly seen in British TV (Avengers, danger Man) and countless movies (including classics like ‘I’m Alright Jack’) before his untimely death in 1973 (aged 43) of a heart attack. 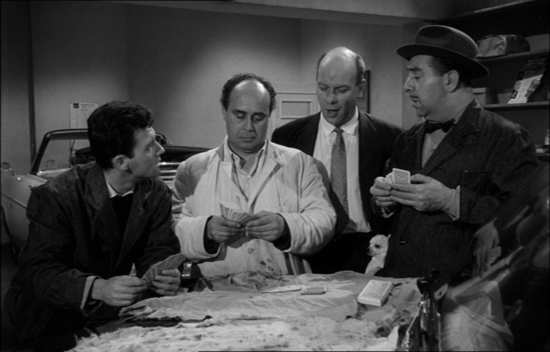 The three of them certainly justify the price of admission and whilst this is undoubtedly a mere footnote in the canon of British comedy films, it is nice to get the opportunity to see it. Picture quality is really excellent throughout and audio perfectly acceptable. Special features are slim pickings but worth having in the form of some still images (see below) and a two page publicity sheet provided as a PDF (see above).